Thirteen years ago, two 19-year-old Michigan students had a problem. They were being shunned from their school musicals. Well, that’s not exactly true. Benj Pasek and Justin Paul were still cast, but were given background roles. That’s not out of the ordinary for underclassmen. But, well, theatre kids and college students can be cocky — I should know, I’ve been both — and Pasek and Paul weren’t satisfied. So they decided to write their own show, Edges, about their experience. After all, when you write the show yourself, you can have whatever role you want. Ask most people today, and they’ve never heard of Edges. And it’s mostly theatre buffs who know the names Pasek and Paul. But their other works are a different story. La La Land. Dear Evan Hansen. The Greatest Showman. The accolades are piling up for the pair. They’ve won Golden Globes, Oscars, Grammys and Tonys — a meteoric rise for two guys who graduated only a decade ago. And while Pasek and Paul are more known for their recent work, Edges — a coming-of-age song cycle written about our generation — is still a cult classic among a certain subset of college students. Edges is no slouch, either, as it won the pair a Jonathan Larson Award (named after the late Rent composer) at the age of 19 — the youngest to ever win. This week, we, too, can return to Pasek and Paul’s roots and be transported into a world not so different from our own. I wonder what Pasek and Paul, the 19-year-old theatre “rejects,” would think if you told them that in 2018, their story would almost seem like one right out of a musical — the cocky youth, the show-within-a-show, their rise to the top. And I don’t know about you, but I want to see where it all began. 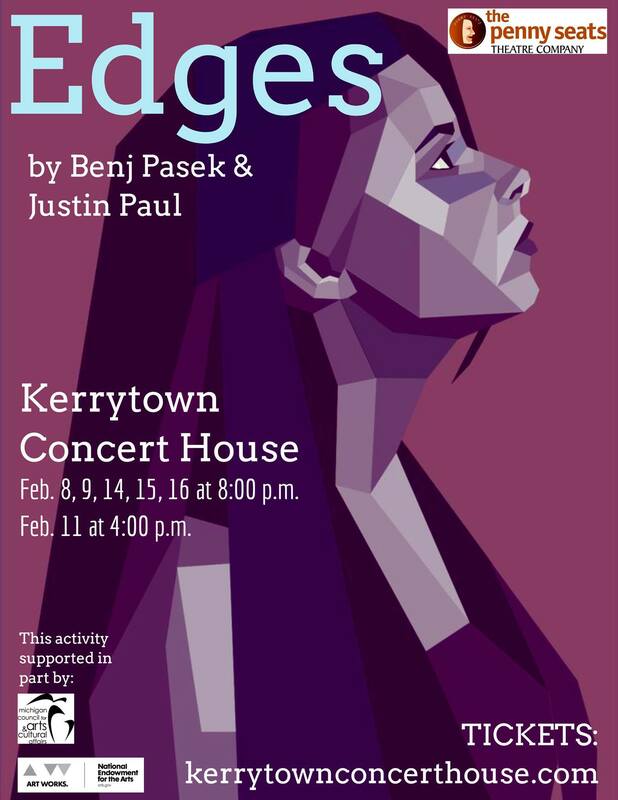 Edges, presented by the Penny Seats Theatre Company, runs at the Kerrytown Concert House February 8-9 and 14-16 at 8 PM and February 11 at 4 PM. Tickets are $15 general admission online or at the door, or free with a Passport to the Arts.